Alliance for Green Heat, December 17, 2012 - The new soot rules announced by the EPA on December 14 require a 20% reduction in allowed particulate matter to 12 micrograms per cubic meter annually, which may make it tougher for counties with excess wood stove smoke to comply with federal air quality standards. However, the current 24 hour standard of 35 micrograms per cubic meter remains unchanged, which is more likely the standard implicated by wood smoke. Along with vehicles and power plants, wood stoves are one of the contributors to poor air quality in some of the counties facing non-attainment of federal standards. “Wood stoves continue to produce too much smoke partially because the EPA has failed to comply with the Clean Air Act and has not updated emission standards for a quarter of a century. The Clean Air Act says the EPA should review standards every eight years,” said John Ackerly, President of the Alliance for Green Heat. In addition, incentives for renewable energy technologies have not focused on the cleanest wood devices, like pellet stoves, as they have in Europe. The Alliance for Green Heat reported earlier in July that the EPA projected this standard could push six more counties into non-attainment by 2020. The list included counties in California, Arizona, Michigan, and Alabama, as well as Lincoln County in Montana where a famous wood stove change out program took place in the community of Libby between 2005-2008. Epidemiology professor Curtis Noonan, who has studied the Libby change out program extensively, said in July that Libby could be in danger of becoming a non-attainment county in 2012 if the limit was set to 12 micrograms. As of last Friday, December 14, 2012, the EPA has since changed its projections of what counties are likely to not meet the new standard by 2020. Lincoln County, Montana and several others listed in July appear to have fallen off the potential non-attainment list while more have been added. The total now stands at seven counties, all of which are located in Southern California. States will be required to make area designation recommendations by December 2013 with final designations from EPA due out in December 2014. Implementation plans are scheduled for 2018 with the goal of attainment by 2020. The EPA has multiple air quality standards for fine particulate matter pollution (PM2.5), which is sometimes referred to as soot. 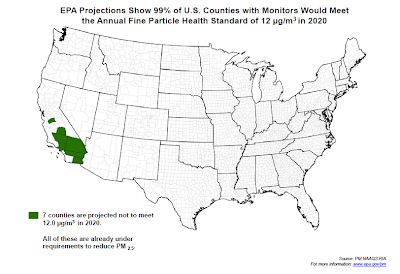 In addition to the recently updated annual standard of 12 micrograms per year, the EPA also has a 24 hour PM2.5 standard of 35 micrograms per cubic meter, last updated in 2006. Wood smoke is likely to have a much greater impact on the 24 hour standard violations than the annual one, and there are over 100 counties that are in non-attainment of the 24 hour standard as of December 14, 2012. Alliance for Green Heat, 12/12/12 - Well-targeted energy efficiency tax incentives will result in significant energy savings and more energy-efficient products being released into the market faster, according to Steven Nadel, executive director of the American Council for an Energy-Efficient Economy (ACEEE), who testified before the U.S. Senate Finance Committee today. The Senate hearing focused on appropriate uses of the federal tax code for promoting investments in energy efficiency, particularly in the context of emerging discussions on tax reform. Nadel said ACEEE found incentives for residential heating and cooling equipment were also successful in encouraging purchases of the most energy-efficient products. One of ACEEE’s recommendations for future tax credits was to promote higher efficiency levels and practices for residential boilers and stoves. ACEEE said that provisions from the recently expired section 25C should be updated for high efficiency residential furnaces, boilers, stoves, heat pumps and water heaters. “The ACEEE has been very supportive of including wood and pellet stoves and boilers among appliances that receive tax credits, but have been frustrated that the 75% efficiency threshold for stoves is not third party verified or measured in a consistent manner,” said John Ackerly, President of the Alliance for Green Heat. “High efficient wood and pellet stoves have a low market share in America and federal support could give advanced stoves the momentum to catch on in the marketplace,” said Ackerly. To read Nadel’s complete testimony, click here. Alliance for Green Heat, December 4, 2012 -Six months ago, the EPA’s new proposed standards for wood heating appliances seemed almost complete. Today they may be more up in the air than ever. After a 3 to 4 year process, how could this have happened? The main driver behind major new proposed changes to the NSPS are state and regional air quality agencies that felt the EPA’s proposed NSPS was too weak and merely codified the status quo. In the face of growing discontent amongst states, HPBA mobilized a “road show” to personally visit key states and make the case for a more cautious NSPS. Many of the states who saw this presentation did not feel the data that they had seen supported the HPBA position. And on November 8 and 9, the Northeast States for Coordinated Air Use Management (NESCAUM) and the Western States Air Resources Council (WESTAR) organized a stakeholders meeting in Minneapolis with LADCO, CENSARA and MARAMA. The regional organizations and key states had come up with new options for EPA to consider in its proposal and had conveyed them to the EPA and HPBA prior to the meeting. While HPBA agreed with some of them, they appeared to taken aback by others, and were maybe for the first time in the NSPS process, put on the defensive. The Alliance for Green Heat had not been privy to the meetings and proposals of the air agencies prior to Minneapolis, but agreed with much of it. The Alliance believes wood appliances need to be cleaner and more efficient to position them to play a major role as a residential renewable energy technology. Unlike in Europe, in America wood stoves tend to be dealt with by air agencies just as something to be regulated, not promoted. Absent from the discussion in Minneapolis was any of the urgency that is common in Europe to aggressively promote the cleanest appliances as a way to fight global climate change. Attending the meeting from the EPA: Greg Green, Gil Wood, John Dupree and several others. From HPBA: Jack Goldman, David Menotti, John Crouch and Bob Ferguson. From industry, representatives from Blaze King, Intertek Test Lab, Woodstock Soapstone, Central Boiler and a number of others. From non-profits: the Alliance for Green Heat, the American Lung Association, the Environmental Defense Fund and others. Gil Wood of the EPA said they expected to send the proposed NSPS to the OMB by the end of January and expected the 90-day public comment period to come in the spring. Alliance for Green Heat, Updated on Nov. 30, 2017 - Wood and pellet stoves are a secondary fuel of choice for many of us who primarily heat with oil, propane or electricity. But when it comes to cost savings, gas furnaces provide the cheapest form of fossil fuel heat. 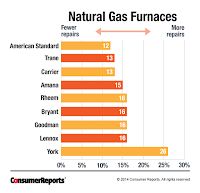 Choosing a reliable brand of furnace is still important, and the December 2012 issue of Consumer Reports advised consumers to think twice about York furnaces which broke down about twice as often as other brands. 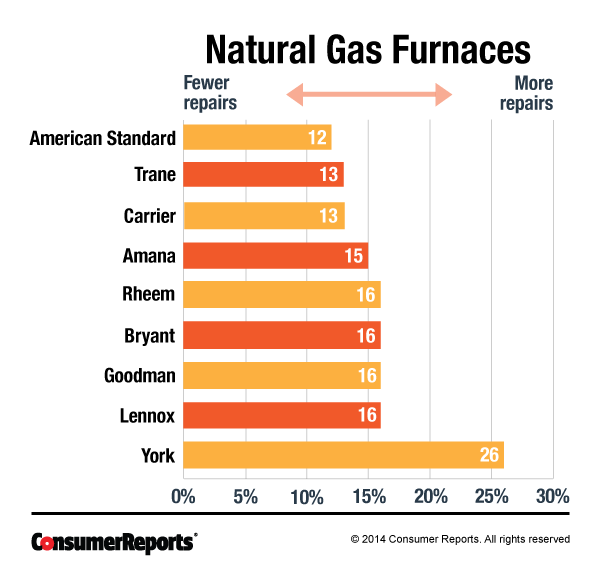 Bryant, Trane and American Standard furnaces needed repairs the least often, according to the Consumer Report survey of 32,251 appliances bought by subscribers of the magazine. Many other brands, including Carrier, Rheen, Ruud and Lennox, held up nearly as well. Consumer Reports also has excellent general advice about purchasing a gas furnace. Consumer Reports has never done a large survey of wood or pellet stove reliability, although they did test and review 6 pellet stoves in February 2011. The magazine gave highest rating to the Harman P68, which, at $3,900, was also the most expensive of all the pellet stoves they reviewed. A close second to the Harman was the Napoleon NPS40 which cost only $2,350, and rated higher than 3 other more expensive models from Lopi, Enviro and Quadrafire. At the bottom of the list was Summers Heat 55-SHP10L, made by Englander, but that model only cost $1,300 and is often considered a good value. Consumers Reports has never tested wood stoves, so don't subscribe thinking you will find any ratings or recommendations for wood stoves. Both wood and pellet stoves deserve far more attention from consumer organizations as there is little reliable third party testing and reliability surveys. The testing that Consumer Reports did of pellet stoves in 2010 did not include efficiency, reliability, noise levels for pellet stoves or how much electricity the stove drew. The Alliance for Green Heat tested six popular pellet stoves in the fall of 2015. In our tests, the Quadra-Fire Mt. Vernon AE got the highest overall score, followed by the Harman Accentra insert. Like Consumer Reports, we purchased pellet stoves without the knowledge of the manufacturer to maintain independence and then put them through a battery of tests. The Italian Piazzetta Sabrina scored the highest on efficiency and the Enviro M55 insert did very well on heat output. If you are in the market for a pellet stove, see our 2017 "6 Tips to buy the right a pellet stove." The Alliance is also pursuing actual efficiency data of pellet stoves from the EPA, who initially declined to release the actual efficiencies of popular pellet stoves. The Alliance asked the EPA for a final determination on this matter and still hopes that the EPA will release this data. Wood stoves are inherently more reliable and often need little repair, other than cleaning the chimney annually and replacing the gaskets every few years. However, the durability of many wood stoves, while a selling point, can also be a drawback because many people keep their old, inefficient and polluting stoves for too long, not realizing that newer ones can save them up to 50% on fuel cost and be far better for their health. If you are aware of someone selling uncertified stoves that have not been approved as exempt, send it to EPA enforcement at sanchez.rafael@epa.gov. Update: Dave Wenham, the New Zealand manufacturer of Masport stoves, said the company was "surprised to see one of our products for sale in North America." He also told the Alliance for Green Heat that the stoves appeared to have been manufactured prior to 1993, but could not confirm whether Masport stoves were sold in the U.S. prior to the 1988 NSPS regulations. 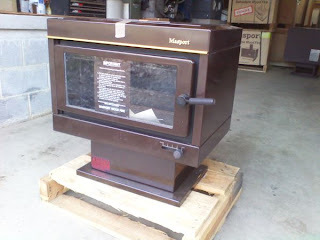 Alliance for Green Heat, December 3, 2012 - By the year 2000, the French wood stove industry knew it had to change. Wood smoke from older wood stoves was becoming a greater problem and the R&D needed to make much cleaner appliances was lagging. Industry also needed to work better with the French government to show their technology deserved tax credits. 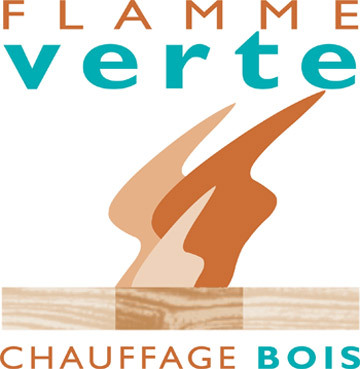 The result was Flamme Verte, a green label recognizing the cleanest stoves. France set a goal to have 9 million homes heated with wood by 2020, a 50% increase over the 6 million homes that used wood at the time, using the same amount of fuel because the new appliances were so much more efficient than the older ones. Today, the French wood stove industry is one of the most robust in Europe, selling more than 450,000 units per year. Germany follows with around 400,000. As of 2010, the French industry had created 21,130 jobs and was estimated to hit 38,000 by 2012. The industry estimates that the sector represents a potential source of more than 100,000 jobs by 2020 if the goals are reached. To read the complete French stove industry report, click here.